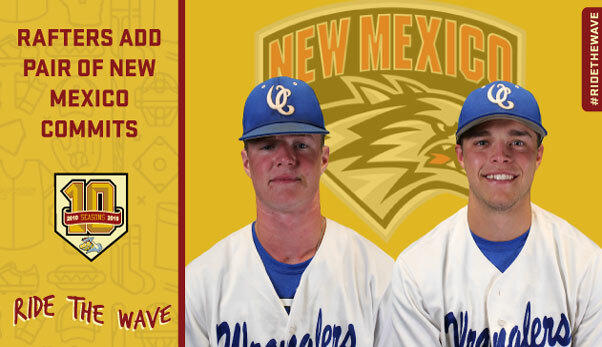 The Wisconsin Rapids Rafters announced the signing of Odessa College infielders Harry Fullerton and Mason McLenna, both committed to the University of New Mexico. Want to attend a Rafters game next season? Rafters 9-Game Ticket Packages are on sale now! Mark your calender, single game tickets go on sale April 19th! For more information on all Rafters ticket offerings visit Raftersbaseball.com, call the Rafthouse at 715-424-5400, or come visit us over at historic Witter Field. The Rafthouse is open from 9:00 am to 5:00 pm, Monday through Friday at Witter Field, 521 Lincoln Street in Wisconsin Rapids.